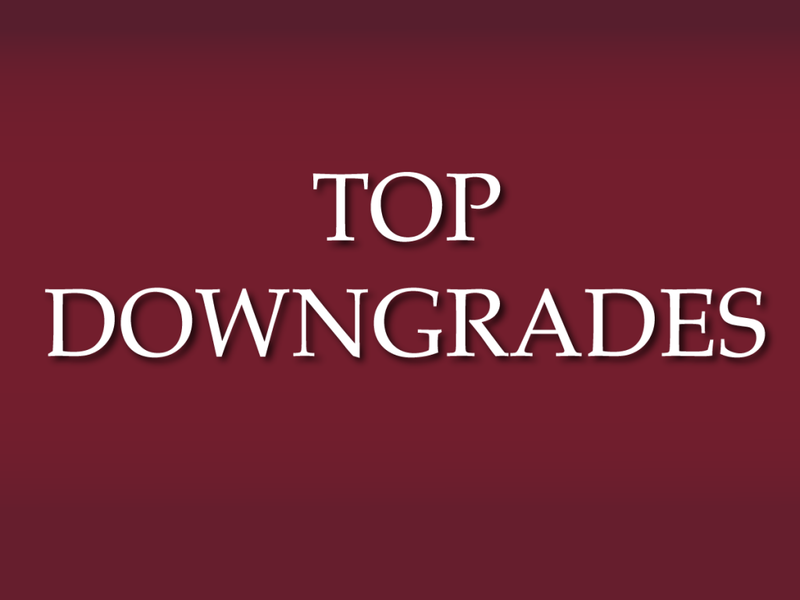 Analysts at RBC Capital downgraded Dominion Diamond Corp (NYSE: DDC) from Outperform to Sector Perform. Dominion Diamond shares fell 3.32 percent to close at $10.78 on Friday. Morgan Stanley downgraded Occidental Petroleum Corporation (NYSE: OXY) from Overweight to Equal-weight. Occidental Petroleum shares fell 0.20 percent to close at $75.45 on Friday. Cowen & Company downgraded LyondellBasell Industries NV (NYSE: LYB) from Outperform to Market Perform. LyondellBasell shares fell 0.58 percent to $80.00 in pre-market trading. Analysts at Jefferies downgraded SAP SE (ADR) (NYSE: SAP) from Hold to Underperform. SAP shares declined 1.80 percent to $77.03 in pre-market trading. 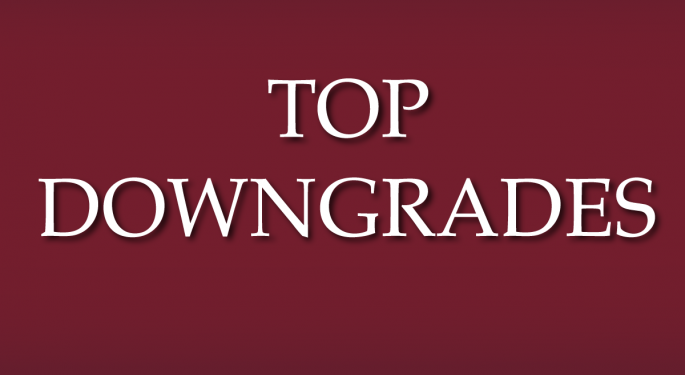 Macquarie downgraded Vodafone Group Plc (ADR) (NASDAQ: VOD) from Outperform to Neutral. Vodafone shares declined 2.12 percent to $30.51 in pre-market trading. DA Davidson downgraded U.S. Silica Holdings Inc (NYSE: SLCA) from Buy to Neutral. US Silica shares fell 3.03 percent to $32.60 in pre-market trading. Analysts at JP Morgan downgraded Axiall Corp (NYSE: AXLL) from Overweight to Neutral. The target price for Axiall has been raised from $26.50 to $33. Axiall shares jumped 26.15 percent to close at $32.56 on Friday.